A few days ago I posted an image taken back in 2015 during a trip to Snowdonia in Wales, which I had not processed or shared before. Whilst searching the Snowdonia folder in Lightroom I also came across this picture. 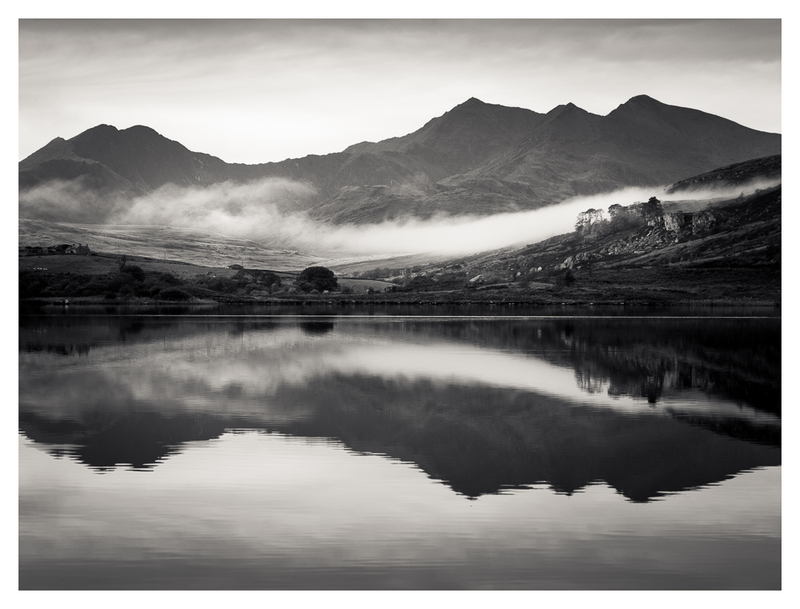 This shot of the Snowdon Horseshoe was taken looking down a lake called Llynnau Mymbyr. The obvious appeal to this image is the early morning mist hanging in wait for the sun to rise and its reflection in the calm waters of the lake. I clearly remember this scene and can recall that within a few minutes the mist had been burnt away and the very reason for taking the photograph in the first place had disappeared. Thank you for your kind comment – I’m pleased you like it. Thank you. I was very fortunate with the mist and the good reflections. How lucky you were to catch that line of mist, Alan. An iconic view of the Snowdon Horseshoe I have witnessed so many times, and one of my favourite walks (scramble might be a better word). Thanks Andy. My first visit to Snowdonia and I will definitely return. A beautiful area. Beautiful image. Captures the mystery of the wilderness there.